Blouse is 100% light and airy cotton and is made in Tanzania. 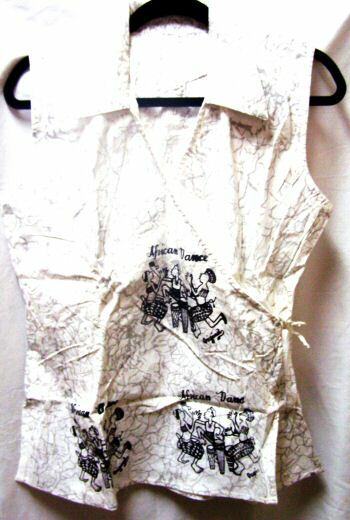 This sleeveless wrap shirt measures 15″ from shoulder to shoulder, 20″ across chest, 24″ from shoulder to hem, and ties on the side. It has been batiked with a marble design along with African drummers.